Official backers of London 2012 see brand reputation increase ahead of non-sponsors. Olympic sponsors are beginning to reap dividends from their costly London 2012 partnerships in the run-up to this week's opening ceremony. A PRWeek/OnePoll reputation survey (page 22) of 2,000 members of the public has found that London 2012 sponsors have significantly boosted their association with the Games compared with non-sponsoring competitors. The survey undertaken last week found that 69 per cent associated Coca-Cola with the Olympics, up from 51 per cent in January. Meanwhile, only four per cent associated non-sponsor Pepsi with the Games. Similarly, 70 per cent associated McDonald's with London 2012, up from 45 per cent in January. Adidas, meanwhile, grew its association with the Games from 27 per cent to 40 per cent. Andy Sutherden, Hill+ Knowlton Strategies MD of sports marketing and sponsorship, said the week ahead of the opening of the Olympics has been 'open season' for sponsors to create news before stories of athletic success take over. Over the coming weeks, sponsors will fight for media interest by using big-draw speaking slots featuring celebrities, sports people and business leaders. Worldwide partner GE is set to hold a panel discussion to discuss innovation and the future of the Olympic Games at the brand's new 'showcasing facility' in King's Cross, featuring Monocle editor-in-chief Tyler Brule and deputy mayor of London Victoria Borwick. Torch Relay sponsor Samsung, which has used The Red Consultancy to activate its sponsorship, had Olympics triple jumper Phillips Idowu carry the Olympic flame into Samsung's brand store in Stratford last Saturday. Red will be handling journalist hospitality and is leading activities around the Samsung Hope Relay 'home run' initiative, aimed at encouraging people to run home from work instead of taking public transport. As we approach the Games, the sports news cycle is speeding up. Sponsors are using digital channels to land their news immediately and the sponsors making the best headlines are those taking charge of the content, tailoring it to their own campaign message and making it available quickly. London has a slightly different audience to the rest of the country and the sense in the media is now about building excitement as the momentum increases. The shift we are seeing is not in what we are doing but how things are being picked up. Activities so far: Adidas' campaign has been youth-focused and has included activities such as its photo booth campaign, in which athletes and fans had their pictures taken in a photo booth in Westfield Stratford City shopping centre. This culminated in a surprise drop-in for a fan by David Beckham this week. What's next? : An Adidas comms team has moved into Westfield and will be co-ordinating comms in an area right next to the news units of Channel 4 and Sky News. Activities so far: BA has held its Great Britons campaign, which saw it promote activities such as giving away tickets to people to 'pursue a dream, achieve a goal or make a real difference'. PR around this campaign was handled by Cake, which launched an aeroplane cabin-themed pop-up restaurant earlier this year. What's next? : BA is staging Park Live, a sponsored area within the Olympic Park. BA is also publicising 1,000 volunteers at Heathrow Airport, who have been employed to welcome the VIPs and athletes. Activities so far: In 2008, the bank began its Local Heroes programme, which provides financial and practical support to young athletes and families in a bid to ensure athletes can pursue a career in sport. Forty-six of Team GB's 1,000 Olympic and Paralympic athletes came from this programme. What's next? 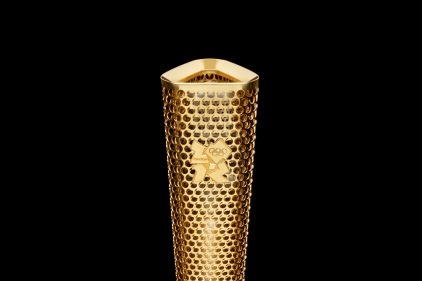 : The following weeks are about highlighting the bank's' sponsorship of the Games since 2007 through a media relations campaign, supporting the Torch Relay and providing further media support for 'local heroes'.